In my selection of text taken from Woolf’s essay, I have focused on the references to natural and artificial light, as visible in this transitional time from daylight to starlight. Ostensibly about a drive in the country, the essay is a meditation on the passing of time and mortality. 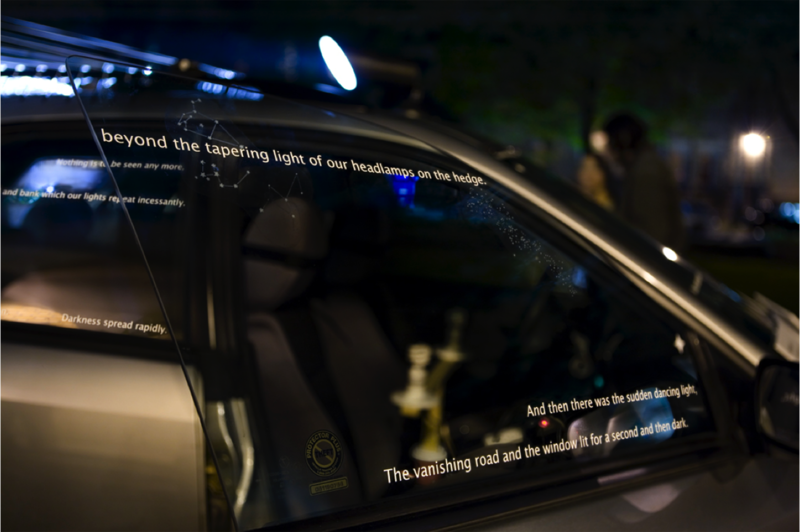 Whether viewers experience the work in the gallery or outside (displayed on the car), it is necessary to move and position themselves in order to read the textual fragments.